Whale Trust invites the public to join world-renowned scientists, photographers, and conservationists at the 13th Annual Whale Tales from Feb. 15 to 18, at the Ritz-Carlton in Kapalua. 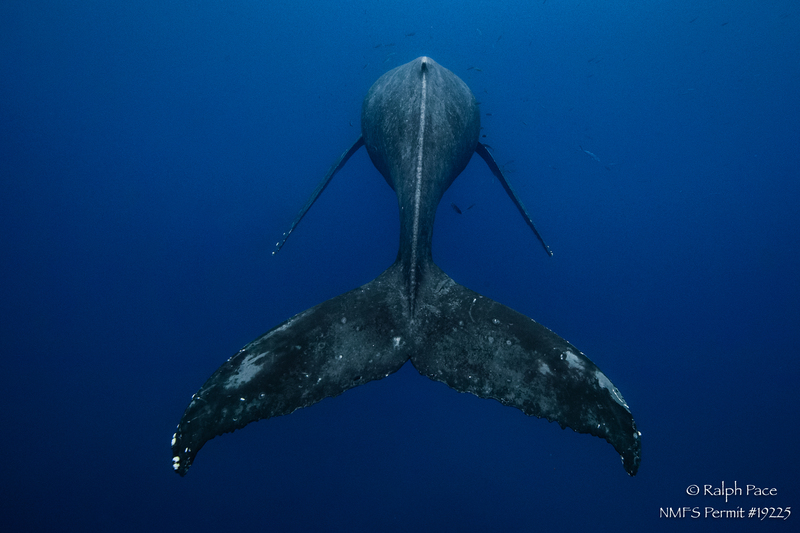 A male humpback whale (Megaptera novaeangliae) sings off Maui, Hawaiʻi. Image taken under NMFS Permit # 19225. PC: Ralph Pace via Whale Tales. This year’s event features a variety of presentations. Award-winning author Nick Pyenson’s research on marine mammals will help audiences understand their ancient past to stories of species’ adaptation in urban waters. Another featured presentation informs audiences about automated surface robots exploring the Pacific Ocean in search of aggregations of humpbacks that we might not yet know about, and view stunning underwater photography and videography of whales in their natural environment. Whale Tales is hosted annually by Whale Trust, a Maui-based nonprofit organization dedicated to whale research and ocean education. 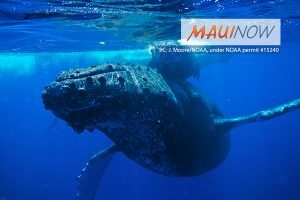 Whale Tales is an educational event that bridges the information gap between scientists working in the field and the public and provides a means to raise funds to support whale research in Hawaiʻi. In 12 years, Whale Tales has raised more than $650,000 for whale research in Hawaiʻi and reached tens of thousands of people, including thousands of local schoolchildren. All proceeds from the Whale Tales event are distributed to selected organizations and students to support whale research in Hawaiʻi through the Whale Tales Beneficiaries Program. This year’s funding will support projects specifically focused on understanding recent shifts in the distribution, abundance and migration patterns of humpback whales in the North Pacific. Open to the public, attendees will have opportunities to learn the latest in marine research from marine biologists, conservationists, world-renowned photographers and videographers. In addition to expert presentations, an Education and Art Expo and Marine Science Center will run throughout the weekend, featuring hands-on learning opportunities with local nonprofit organizations. Benefit whale watches alongside featured researchers are hosted daily throughout the weekend. Registration is required and a $20 per day donation is encouraged. For a detailed schedule of events, presentations, registration, and tickets, visit whaletales.org  or call (808) 572-5700.